Starting a business with a partnership structure, whether it’s with one person or a group of people, can be an efficient way of building a company from the ground up. But there are quite a few considerations you’ll have to make. The team at Keith Willis Associates are perfectly placed to offer all the advice, planning and accounting services you need in the first stages and far beyond. Setting up a partnership – as opposed to trading as a limited company – means each partner has their own personal and legal responsibility for the business. From decision making to payment and management of debt, being a partner has a fair share of responsibility. However, unlike a limited company, it can be easier to run between multiple people, as partners can be added or removed as necessary. 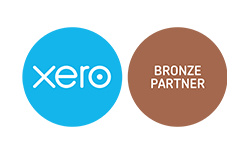 With bespoke partnership accounting and business partnership advice, you’ll be in the best possible position from the very beginning. As experienced chartered accountants, we offer partnership advice to cover all facets of your business and its financial structure. From fulfilling all tax obligations, to providing sound financial planning advice specific to your company, the team at Keith Willis Associates are more than happy to help. To find out more, or to arrange an appointment with us for your partnership in or around Nottingham, contact our friendly team today. Keith Willis Associates is a registered company in England.